(Newser) – Researchers in Canada have made an "extraordinary" find: a vast collection of fossils that offer an in-depth look at prehistoric life. The site in Kootenay National Park is being compared to what experts call one of history's greatest fossil finds, a 1909 discovery about 26 miles away in Yoho National Park. 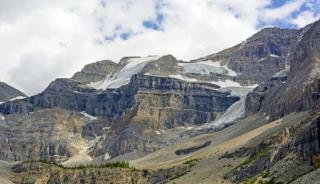 Both sites are in a rock formation called the Burgess Shale, LiveScience reports. "The rate at which we are finding animals—many of which are new—is astonishing, and there is a high possibility that we'll eventually find more species here than at the original Yoho National Park site," says the study's lead author. I'm not gonna point fingers... but come on folks, get with the system... We are just as much an animal as any other animal on the earth. Please re-read your books so that you can learn that earth is not 10 000 years old, it's quite a bit older. It's funny to actually read some of these comments, entertaining all on it's own. Exciting find by the way, hope to see more. "Scientists think the soft-bodied fossils preserved in the Burgess Shale were swept down the Cathedral Escarpment by swift storm currents and were buried in deepwater muds. The animals likely lived below the reach of storm waves but above the depths of their final resting place."....... this sounds a bit like something I was taught in sunday school. hhmmm. "which began some 542 million years ago." extraordinary claims require extraordinary evidence, right big bang head evolutionist atheists? Fail.